There are a total of nine feasts on the Jewish calendar. In this study we will review seven - those are the appointed feasts which God defined in the Old Testament book: Leviticus. Each, in its own way, provides a prophetical vision of our Messiah, Jesus Christ. We will not consider the other two feasts in this study, but will probably take them up as a study at a later time, they are: Purim (Feast of Lots) and Hanukkah (Feast of Dedication). As we consider these seven appointed feasts, it's important to keep in mind that the Jewish day begins at sunset. 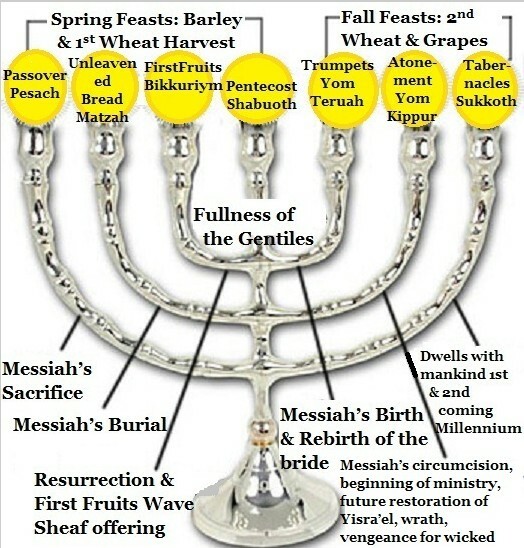 The Jewish calendar has had adjustments over the centuries, however it's primary purpose is to keep these seven feasts in their originally appointed season. In the Old Testament Jewish calendar, the months are determined by the moon and the year by the sun; every thrid year is a leap year. The beginning of each month is determined by the beginning of the new moon - termed in Hebrew: Rosh Hodesh. The scriptural references for the new moon are found in Numbers chapter 10 verse 10 and also Psalm 81 verse 3. The Jewish year is calculated by adding 3761 to our current year, e.g. 2014 + 3761 = 5775. 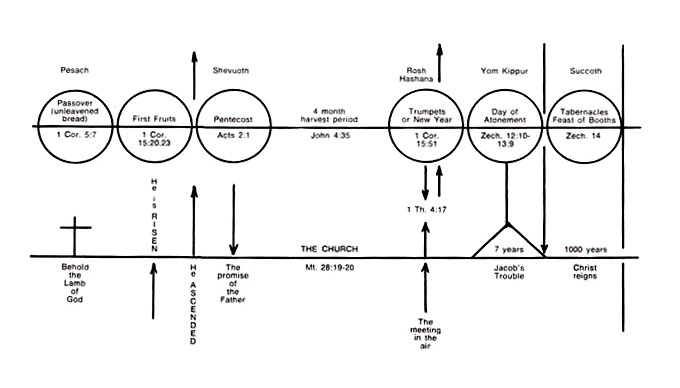 We will also consider the Shemittah (also spelled Shemitah) and Year of Jubilee however first an overview for the feasts designated by God in the Torah as they apply to our Lord, Jesus Christ and His church.